Next year, Ford will begin selling the Ford Fiesta with an optional three-cylinder engine that will offer better fuel economy and more power than the larger four-cylinder engine that car is sold with today. Some time next year, you'll be able to buy a Ford Fiesta subcompact car powered by the smallest engine the automaker has ever made. With that engine, the Fiesta will be more fuel efficient than any other non-hybrid car on the market, Ford announced on Monday, getting over 40 miles per gallon on the highway. Exact fuel economy figures for the 1.0-liter, three-cylinder engine, which will be small enough to fit inside a piece of carry-on luggage, are not available yet, however. "Many customers would like the fuel efficiency of a modern diesel or a hybrid, but can't stretch their budgets to cover the cost premium," said Joe Bakaj, Ford (F) vice president of Powertrain Engineering in an announcement. "That's where the EcoBoost Fiesta fits in. It will offer a highly fuel-efficient alternative at a lower cost." Automakers are looking for ways to boost fuel economy as they prepare to deal with strict new fuel economy rules. The little engine, which is turbocharged to boost performance, is already available in Europe. It will produce up to 123 horsepower and 148 foot-pounds of torque. That's more power than the 2012 Fiesta gets from its 1.6 liter four-cylinder engine. Ford had announced it would build the engine in the summer of last year, but this is the first time the automaker has said how it would be introduced into the United States. 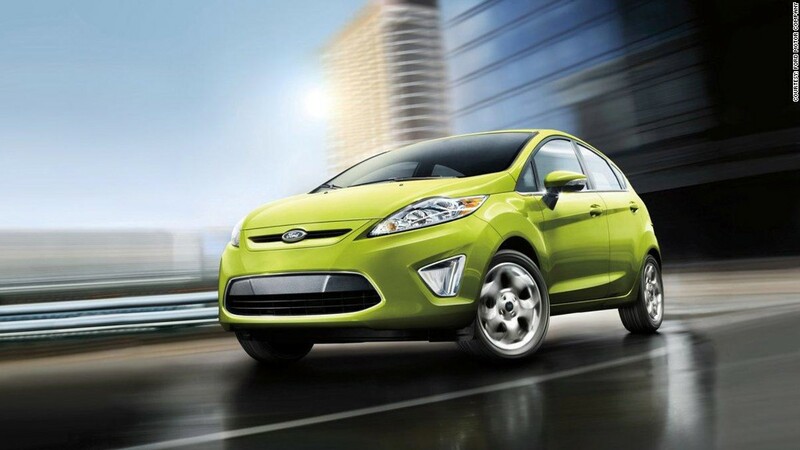 The Fiesta will not be the only car available in the U.S. with a three-cylinder engine. The two-seat Smart ForTwo, made by Mercedes-Benz parent Daimler, is powered by a 1.0-liter 3-cylinder engine, but one that produces only 70 horsepower while getting 38 mpg on the highway. While noise and vibration are a concern with engines that have odd numbers of cylinders, this one will have "world class levels of smoothness and refinement." 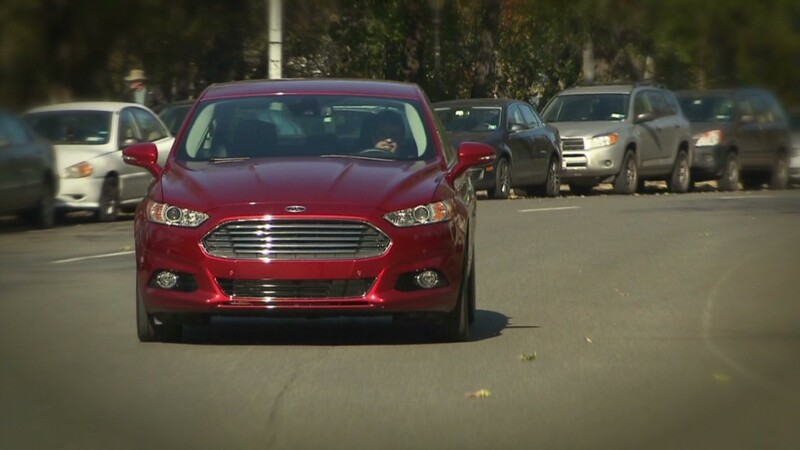 and will be "nearly silent at idle," Bob Fascetti, Ford's Global Director of Engine Engineering, said in a Webcast. Various parts of the engine have been designed specifically to dampen the uneven movement created by the three-cylinder design.